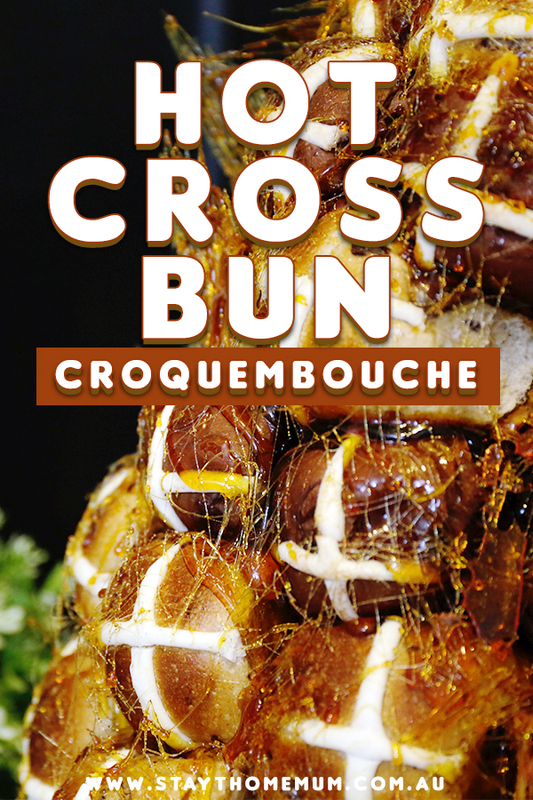 Hot Cross Bun CroquemboucheBrought to you by Woolworths! 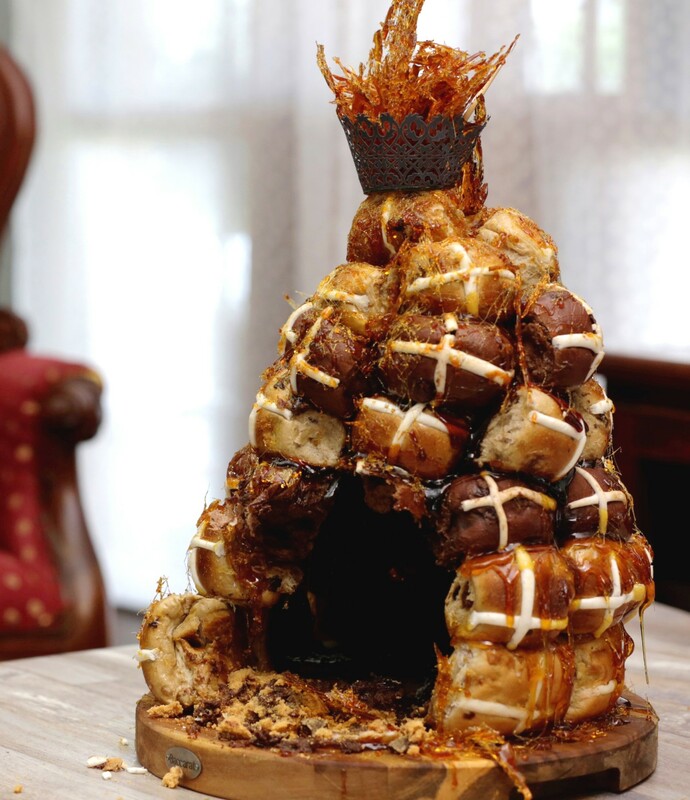 If you want to impress all your guests over the Easter long weekend with your cooking prowess, then give this unbelievably easy Hot Cross Bun Croquembouche recipe a crack! In a saucepan, combine the sugar and water and bring to the boil. Once boiling, add the glucose and cook until golden brown. Remove the Free From Gluten Dairy Free Chocolate Cheesecake from its packaging and place on a large platter or chopping board. Dip the bottom and left side of each Hot Cross Bun and place on top of the cheesecake base. Place the first 6 Hot Cross Buns in a circle and build each layer at a time on top of one another. Drizzle a spoonful of Toffee over each layer to help set the tower together and enjoy!